On November 8, 2017, CDC New England was awarded the #1 CDC in Western Massachusetts by dollars for SBA’s 2017 Fiscal Year. 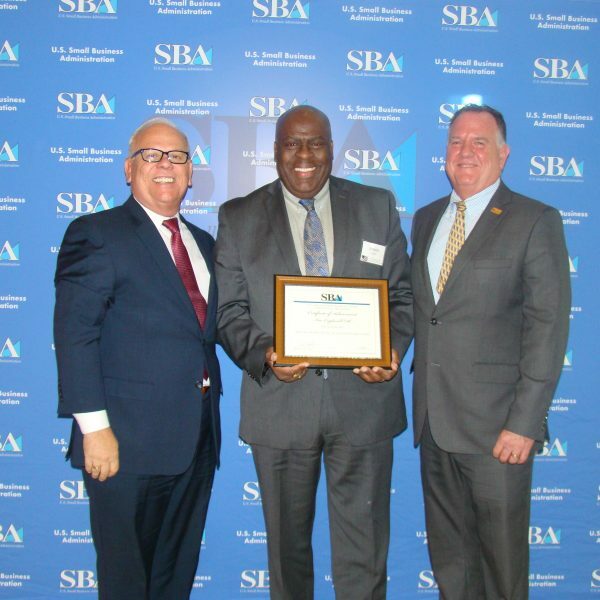 The organization provided $10,180,000 in SBA 504 loans to small businesses in the area during the fiscal year of 2017. Pictured is our CDC Servicing SVP, Joe O’Garro, with Mark Hayward (left), SBA Acting Regional Administrator for New England, and Robert Nelson (right).